I’ve been around Zelda Informer for a long time, and like our long-time readers, I’ve seen this place go through a lot of changes. Zelda Informer (or ZeldaInformer, as we once so adamantly called it) was founded by none other than a group of dedicated Zelda theorists, looking to create a site with better Zelda news and content. From its humble beginnings, Zelda Informer has grown to be quite a force in the Zelda community, and now, we’ve even expanded past the realm of Zelda, bringing you all kinds of Nintendo news coverage, editorials, and content. Some have been for the change, some against it, but overall, things have been looking better and better. Even among those that approve of the shift towards general Nintendo content, there’s still a sense of disappointment that Zelda Informer just doesn’t seem to have enough Zelda content anymore. Well let it be known, it’s my personal goal to change that mindset, and keep Zelda Informer churning out excellent and exclusive Zelda content, in addition to the ever-growing Nintendo coverage. Earlier today, I kicked off the new Zelda Informer Timeline Series, and this is just the beginning. 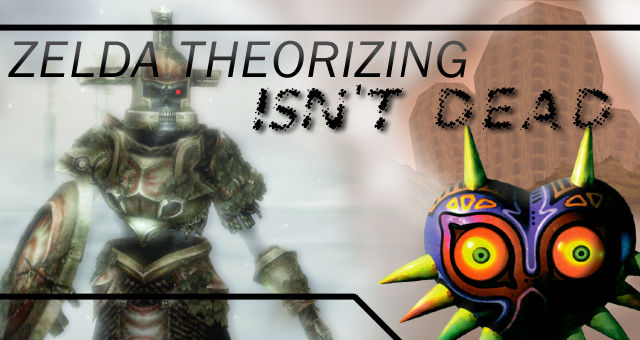 Coming soon, Zelda Informer will have a Theorizing Section here on the mainsite, where we will regularly update you with new timeline theories, theorizing guides, resources, and much more. Want to read more timeline theories? You got it. New to theorizing, and trying to learn the ropes? We’re going to be catering to you. Think you’ve got the hang of theorizing, and you’re looking for more advanced discussion? We’ll cover that too. It’s my goal that, no matter how much non-Zelda content we have here, we are still going to continue to be your home for all your Zelda needs, now, and forever. I love Zelda Informer and all that it stands for, and you can count on us to continue to be the Zelda fansite you deserve. So feel free to leave suggestions for what kind of Zelda content you’d like to see in the future, and keep your eyes peeled for more Zelda content, and for our upcoming Theorizing Section, over the weeks and months ahead. Consider this my birthday present to Zelda Informer, and may there be many more years to come!